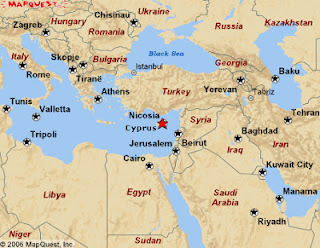 Here's the information for Cyprus for The Best TEFL Jobs in the World. You might also want to look at Europe for non-EU passport holders and The Best TEFL Jobs With Worldwide Employers. It's hard to work unless you know the Greek and are E.U. citizens. The exceptions are private secondary and primary schools where the first language is English, which do advertise vacancies from time to time but their demands are quite stringent and include relevant experience apart from academic qualifications. There are a number in the all the main towns. Here are the ones from Paphos. The International School of Paphos: you'll need to have a degree and be fluent in English.